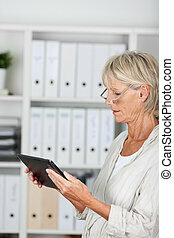 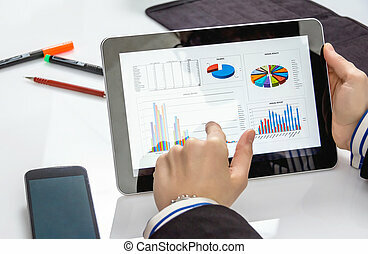 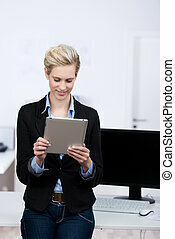 Businesswoman showing digital tablet in office. 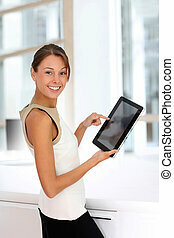 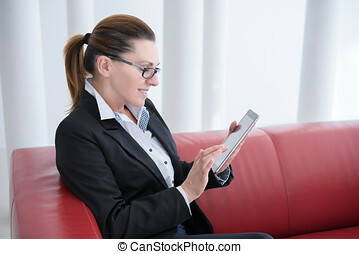 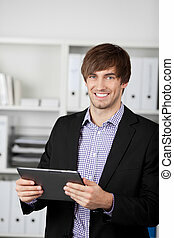 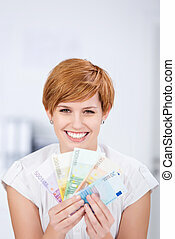 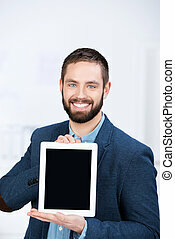 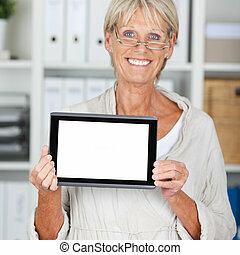 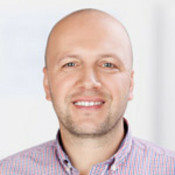 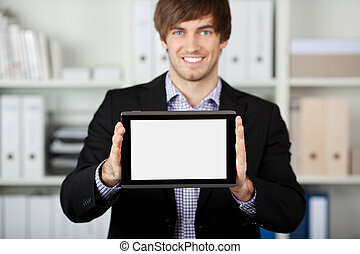 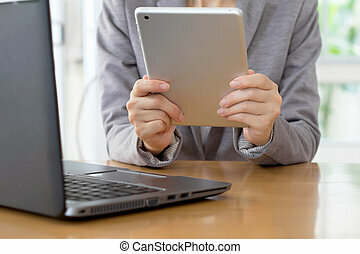 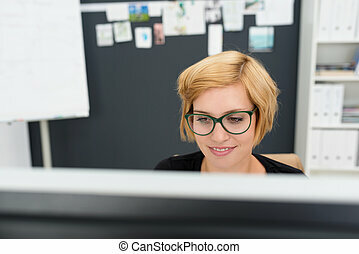 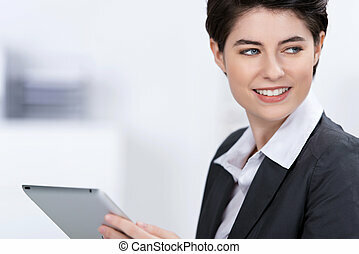 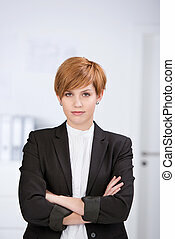 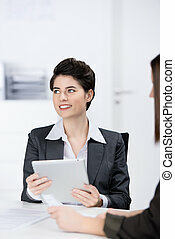 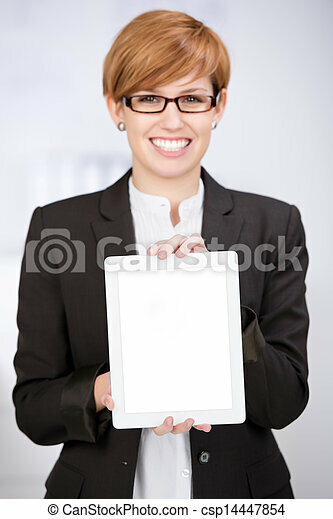 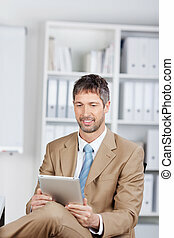 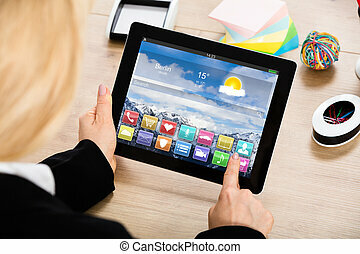 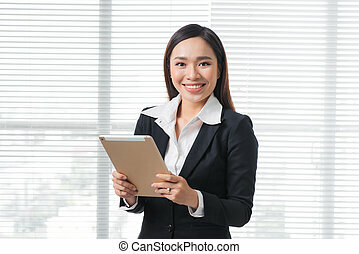 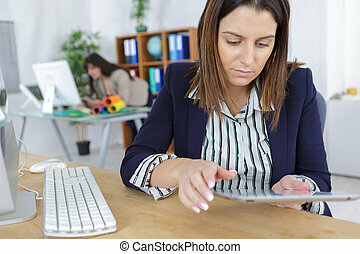 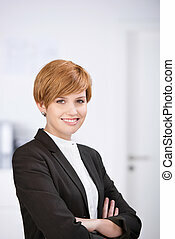 Portrait of happy young businesswoman showing digital tablet in office. 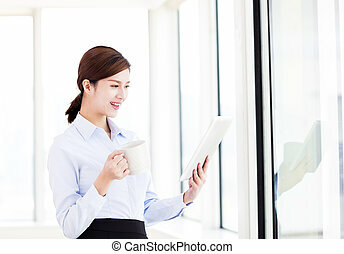 Asian businesswoman with digital tablet in office.